U.S. Food and Drug Administration granted accelerated approval for an oral medication to treat patients with advanced non-small cell lung cancer (NSCLC). Tagrisso (osimertinib) is now approved for patients whose tumors have a specific epidermal growth factor receptor (EGFR) mutation (T790M) and whose disease has gotten worse after treatment with other EGFR-blocking therapy. Lung cancer is the leading cause of cancer death in the United States, with an estimated 221,200 new diagnoses and 158,040 deaths in 2015, according to the National Cancer Institute. The most common type of lung cancer, NSCLC occurs when cancer cells form in the tissues of the lung. The EGFR gene is a protein involved in the growth and spread of cancer cells. Today, the FDA also approved the first companion diagnostic test (cobas EGFR Mutation Test v2) to detect the type of EGFR resistance mutation that Tagrisso is known to target. The newly approved version (v2) of the test adds the T790M mutation to the clinically relevant mutations detected by the original cobas EGFR Mutation Test (v1). The safety and efficacy of Tagrisso were demonstrated in two multicenter, single-arm studies involving a total of 411 patients with advanced EGFR T790M mutation-positive NSCLC whose disease worsened after treatment with an EGFR-blocking medication. In these two studies, 57 percent of patients in the first study and 61 percent of patients in the second study experienced a complete or partial reduction in their tumor size (known as objective response rate). Continued approval for this indication may be contingent upon further confirmatory studies. The most common side effects of Tagrisso are diarrhea, skin and nail conditions such as dry skin, rash and infection or redness around the fingernails. Tagrisso may cause serious side effects, including inflammation of the lungs and injury to the heart. It also may cause harm to a developing fetus. 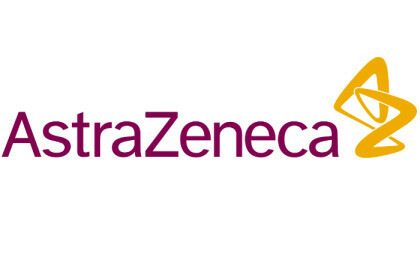 The FDA granted Astra Zeneca breakthrough therapy designation, priority review and orphan drug designation for Tagrisso. Breakthrough therapy designation is granted for a drug that is intended to treat a serious condition when, at the time an application is submitted, preliminary clinical evidence indicates that a drug may demonstrate substantial improvement over available therapies. Priority reviewdesignation is granted to drug applications that show a significant improvement in safety or effectiveness in the treatment of a serious condition. Orphan drug designation provides incentives such as tax credits, user fee waivers, and eligibility for market exclusivity to assist and encourage the development of drugs for rare diseases. Tagrisso was approved under the agency’s accelerated approval program, which allows the approval of a drug to treat a serious or life-threatening disease based on clinical data showing the drug has an effect on a surrogate endpoint reasonably likely to predict clinical benefit to patients. This program provides earlier patient access to promising new drugs while the company conducts confirmatory clinical trials. Tagrisso is marketed by Astra Zeneca Pharmaceuticals based in Wilmington, Delaware. The cobas EGFR Mutation Test v2 is marketed by Roche Molecular Systems of Pleasanton, California.